The virtuous circle that saw buyers of ethereum-based ERC-20 tokens drive ether’s price above $1,400 mid-January has morphed into its diametric opposite. The initial coin offering boom has fizzled and the price has sunk to just above $200. This new phase, a vicious cycle downturn that has exposed the ether market’s intrinsic connection to the ICO boom and bust, is of course painful for anyone who bought ether in the last 12 months. But in the spirit of encouraging the crypto community to embrace failure as a real-world source of learning and growth, the experience is also incredibly informative for understanding how value is formed and lost in crypto assets attached to blockchain platforms. This dynamic is still being figured out. However, a strong hypothesis is emerging that the correlation between the price of a token such as ether and its actual or expected network utility —that’s is, its value as the “fuel” in a blockchain ecosystem — might not be very strong. This is challenging for anyone who, like me, was initially enthusiastic about the “fat protocol thesis.” As a recap, that idea, convincingly made by Union Square Ventures partner Albert Wenger, held that the prospect of rising prices for utility tokens allows developers of open-access software platforms to extract value for their work even when the underlying protocol is open and free. It argued that crypto assets and blockchains would overhaul the prevailing Internet paradigm in which value could only be extracted by application developers who could charge users for their services whereas the developers of open-access protocols such as SMTP an HTTP were condemned by the requirement that they be free of charge. 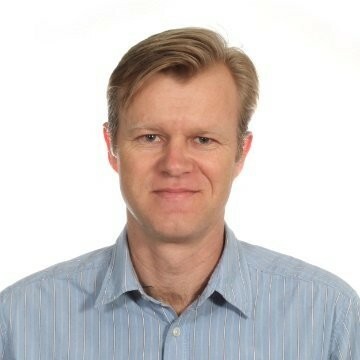 In essence, the problem has to do with Gresham’s Law that “bad money drives out good” – the idea being that if you want a currency, or any token used for economic exchange, to function as a fluid enabler of transactions within your community, you don’t want it to be overly attractive as an investment or store of value. If a currency has that “good” quality – i.e. is durable, fungible, scarce, and can’t be debased by some centralized issuer – it will appeal more as something to hold rather than use. This has fueled the idea among mainstream economists that there’s a sweet spot in which the interests of a community – but not necessarily those of the individual – are best served by their money being just a bit “bad.” There needs to be some modest expectation of depreciation or inflation if a currency is to be trading. Communities need people to be willing to offload their currency rather than hoard it. Milton Friedman, the father of monetarist economics, said as much, arguing that a very modest amount of expected, inflationary monetary expansion is desirable. It’s by no means an argument for currency debasement and rampant abuse of fiat power. It’s about optimizing exchangeability versus investment prospects. I’ve argued elsewhere that this might be a problem for bitcoin, not for HODLing investors per se but in whether it can ever challenge the dominant fiat currencies as a medium of exchange. Bitcoin is a very “good” currency in terms of its scarcity and incorruptibility, which means its store of value qualities trump its transactional utility. Many bitcoin enthusiasts dispute this view, arguing that after establishing itself as a solid store of value, a currency can then become useful as a transactional unit. Time will tell whether they are right, but for now I think the store of value treatment of bitcoin is winning out. Notwithstanding its massive price drop since December, anyone who bought into bitcoin in the eight years before its runup last fall will quite satisfied with the returns they’ve had by just holding it. By contrast, real-world, non-capital transactions are few and far between. Layer Two solutions such as Lightning will make transactions easier, but I’m not convinced that this scarce “good” currency will become widely transacted. Can Ether Have Reservation Demand? What does all this have to with ether? Well, as Vijay Boyapati laid out in a provocative tweetstorm, ethereum’s smart contract functionality depends on people using and transacting in ether. That’s what ether’s metaphorical identity as the “gas” of ethereum is all about. But Boyapati said that’s antithetical to the concept of “reservation demand,” a measure of how long people hold a currency and the core driver of the price of a monetary unit. For the brief period of ICO mania last year, Boyaparti argued, ether suddenly attracted reservation demand because investors needed to acquire and hold a store of ether to participate in the ongoing flow of ERC-20 token offerings. But now that flow has stopped. The issuers of those tokens who really just wanted dollars to fund their operations — not a store of ether with which to conduct smart contracts — are now faced with an existential threat if they don’t dump the rapidly falling ethereum tokens they hold. Hence the conversion of a virtuous circle into a vicious circle. 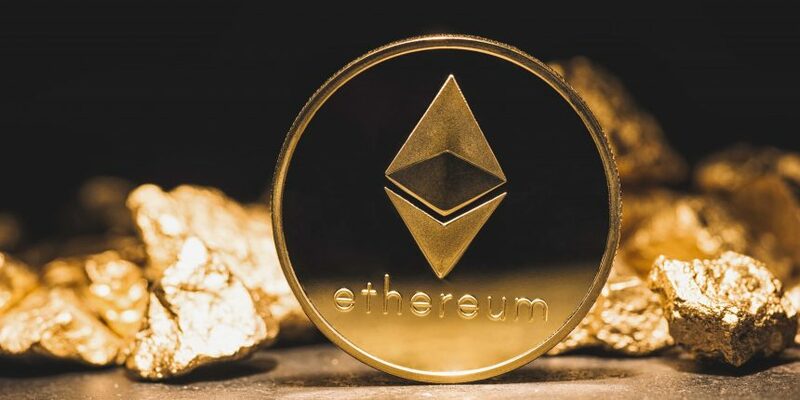 Jeremy Rubin, a Stellar developer and former MIT colleague of mine, argued in a TechCrunch piece that these and other aspects of the ethereum ecosystem could drive the price of ether to zero. A key point of Rubin’s was that issuers of tokens that trade on top of ethereum can and will be incentivized to build models in which their smart contract network is managed not by transactions in the underlying “gas” of ether but by the incentives baked into trading in their own token. The piece stirred up a lot of emotion, including a rebuttal of this “economic abstraction” argument from ethereum founder Vitalik Buterin. Where Does Value Meet Price? I’m not convinced of Rubin’s argument that the price is destined for zero even if, as he assumes, ethereum ends up succeeding as a ubiquitous smart contracts platform that enables world-changing dapps. In essence, I think there is some natural base level of reservation demand that will always be there for a unit of exchange that makes a powerful blockchain tick. And it’s hard not to imagine that this level of demand increases if and when ethereum moves to a proof-of-stake consensus mechanism. At some point, utility value does correlate with price, just not with nearly the same direct relationship that people have assumed. This debate is very important. If a disconnect is established between utility value and price, it will greatly affect how participants in token markets generally treat the assets they are trading. Note, however, that might actually encourage the development of dapps that are all about functionality and not just fronts for quick money-grabbing efforts by crypto startup founders. The jury is also still out on the whether etheruem, or any blockchain platform, is even successful at all. But I look at the incredibly inventive community of ethereum developers toying around with wonderful new ideas for a better world and find it very difficult not to conclude that, in some as yet undefined way, they are creating a great deal of value.